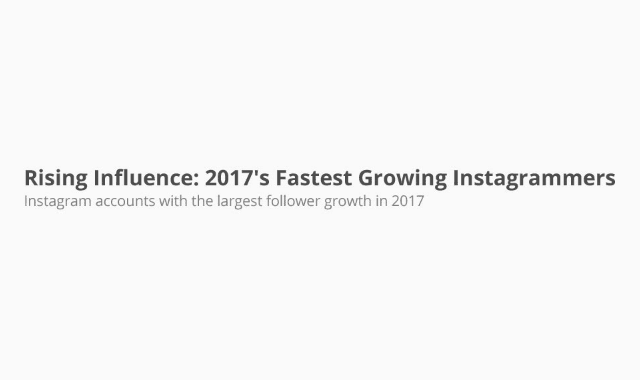 Rising Influence: 2017's Fastest Growing Instagrammers #Infographic ~ Visualistan '+g+"
InfluencerDB has revealed their analysis of the Instagram accounts which saw the largest follower increases over 2017. 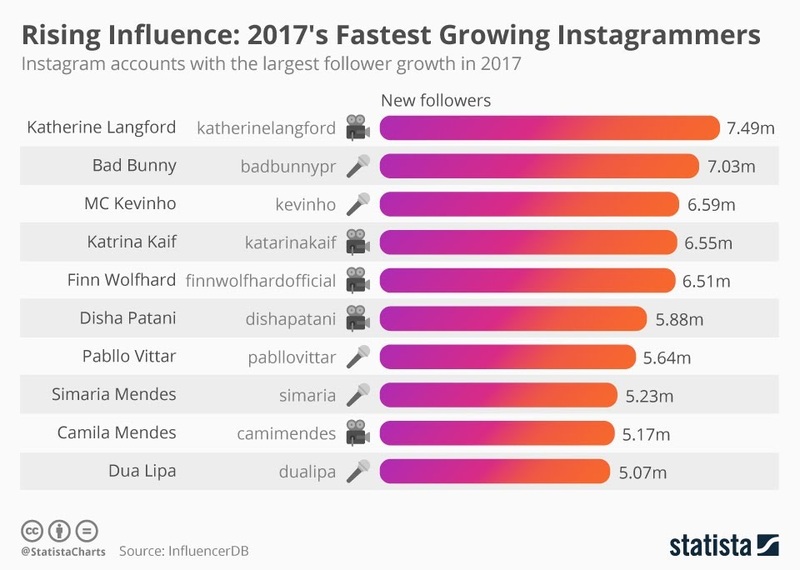 At the top, despite only having posted 55 times (at the time of writing), Australian actress Katherine Langford gained 7.49M new followers. The top list is completely dominated by actors and musicians, with five apiece.